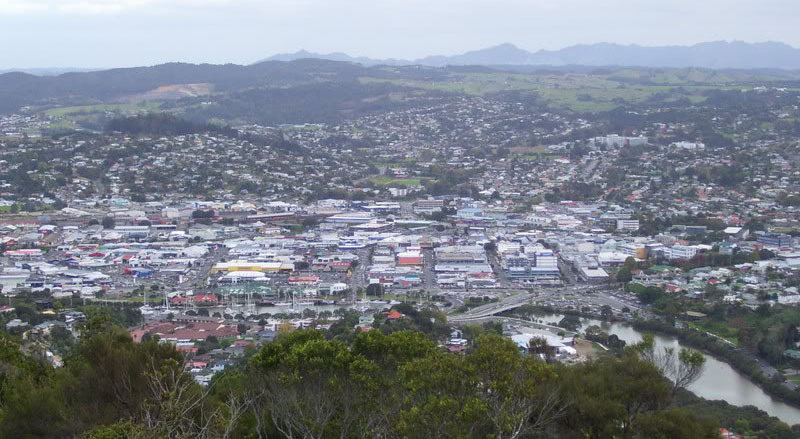 Whangarei, (Pop: 51,400) is the northernmost city in New Zealand and the regional capital of Northland Region. Located 170 kms north of Auckland, Whangarei is the commercial centre for the Far North/Northland region and is situated between forested hills and a deep water harbour and surrounded by fertile farmland with orchards. Whangarei and the surrounding region has a indented coastline of over 200km in length inclusive of the off-shore islands of the Poor Knights and the Hen and Chickens Islands. Because of its extremely indented coastline, no part of the region is more than 40kms from the sea. Whangarei region is a solid industry base of pastoral farming, horticulture, manufacturing and construction, forestry, wood processing and tourism. Other key sectors are retail and the arts. Whangarei region basks in New Zealand’s sub-tropical climate zone, with warm humid summers and mild winters. Whangarei city is located on the banks of the Hatea River that flows into the Whangarei Harbour, being the country’s largest east coast harbour, boat building and marine servicing industries. A short drive north of the city is the picturesque Whangarei Falls. The viewing platforms offer excellent views of the 26 metre (86 feet) falls and the area is an excellent picnic spot. A popular spot in the centre of the city is the Town Basin. This waterfront area is a collection of cafes, restaurants, shops, art galleries and museums, all built in a colonial style. Whangarei also has numerous parks and reserves. A bush walk through Parahiki Scenic Reserve to the top of Mt Parahiki (New Zealand's largest Maori Pa complex) offers great views of the city. The city’s proximity to the Pacific Ocean makes it an ideal base for those interested in aquatic pursuits. A warm current in the area brings a variety of fish species here, and the nearby Poor Knights Islands group is an excellent dive location. The area is also popular with deep sea fishers. For those desiring more sedate activities, the nearby beaches of Matapouri Bay and Sandy Bay have excellent beaches. New Zealand’s newest deepwater port is located at Marsden Point, just south of Whangarei city and adjacent to the country’s only oil refinery and other large industrial services. A major dairy processing plant is situated at Kauri, just north of the city. Whangarei is served by regular daily coach and bus services to and from Auckland, Paihia (Bay of Islands), Kerikeri (Bay of Islands), Kawakawa, Kaikohe and Kaitaia and Air New Zealand Link air services from Auckland. There are no passenger trains services from Whangarei to Auckland, Kaitaia, Kerikeri or Paihia.